Shopify leads the inventory-rich ecommerce field, and Vend is the leading EPOS for inventory-rich brick-and-mortar shops. What does Vend offer face-to-face merchants that Shopify does not? And is Shopify the best choice for online sales when you’re also selling in-store? Do they work well together? We analyse the things you should know before deciding which to go for – or whether to pick both. Vend specialises in EPOS for physical retailers of all sizes, Shopify in ecommerce for retailers with any number of products. Since many retail businesses are selling both in-person and online, Shopify offers additional POS plans covering both needs. Both providers have a choice of subscriptions and options to pay either monthly or annually. Shopify also allows payments every other year. Monthly payments are always more expensive, but they allow you to cancel the subscription any time without losing a lot of of money paid upfront for months unused. Vend charges per checkout screen using the software, but licences after the first one cost less. Shopify charges per subscription plan, meaning you can use multiple checkouts at no extra cost. Instead, they impose limits on number of locations where Shopify POS can be used – the cheaper the plan, the fewer locations. Also, Shopify’s listed prices are in dollars (as reflected below), not British Pounds, because it is primarily a Canadian company prioritising its marketing on the North American market. This should not, however, be a deterrent for potential customers – they are still big in the UK. *Subscription pricing is excluding VAT. Shopify’s plans include full access to ecommerce features, but tiered POS features. Basic Shopify can distinguish products inventory in up to 4 locations, Shopify in up to 5 locations and Advanced Shopify up to 8 locations. That said, Shopify only recommends Basic for new merchants and occasional in-person sales, so not really more than one brick-and-mortar shop (although fine for on-the-go selling). The mid-level Shopify is officially recommended for one store, and Advanced for 2+ stores. It does not matter how many checkouts you use with Shopify POS, in contrast to Vend charging per iPad, Mac or PC. Both providers offer tailored solutions for large and high-volume businesses. Vend calls this the Enterprise plan and Shopify calls it Shopify Plus. To get a quote for these, contact them on the website or by phone. There is also a Shopify Lite plan for $9 a month, but this does not have a web store builder. Instead, you can sell through payment links on social media, send invoices and turn an existing website into a store by adding certain dressed-down features. Expect POS features are the same for Lite as with the Basic plan. As to payments, Vend does not deal with that. You only pay for the EPOS software. It is up to you to choose a card machine and payment provider to use in conjunction with Vend. Shopify allows integrated payments, but this costs an additional fee on top of the card fees imposed by your chosen card processor. To save money, you can use the Shopify card reader for the Shopify Payments fees. Does it cost extra to use Vend with Shopify? Yes and no. One obvious extra cost is having to pay for a subscription from both Vend and Shopify. You do not get a discount from either provider for choosing to use them together. In fact, new Vend users can only connect to Shopify on the Pro and Enterprise plans, while you can pretty much use Vend with any of the Shopify plans, although maybe not with Lite Shopify. Vend also advises connecting the Shopify account with a separate till register in your chosen store, so purchasing an extra licence may be required for the integration. Vend’s EPOS features are some of the best in retail. The system is set up to handle vast amounts of products, and the app is user-friendly, feeling instantly familiar to experienced retail workers. Shopify POS is by and large good and can handle large inventories too. It just isn’t as detailed as Vend’s. The different subscriptions have tiered features, in several cases with basic functionality on the basic plans. For example, Vend and Shopify offer standard reporting on their cheapest plans and more advanced reports on higher plans. This makes it a little difficult to compare exactly how they differ in the details. Our experience, however, is that Vend is more thorough with their features, while Shopify has some marked differences between the plans. For example, you cannot integrate the Shopify POS app with a receipt printer on the Basic plan, but there is no difference between the Vend plans in terms of hardware integration. Staff accounts are also limited on Shopify POS, but not with Vend that has advanced permissions customisation. Both have good inventory tracking, but Vend does not distinguish between stock at different locations on Lite, only on Pro. Shopify does track stock at several locations even on Basic, but this may be of little use since they do not recommend using Basic Shopify at more than one location (because the features are generally too basic). We can deduce that the inventory features are therefore not as rich on Basic Shopify, while we have seen that Vend has many detailed functions around inventory even on the Lite plan. Both can register cash payments, process refunds, add taxes and split the tender. Some things like register shifts and gift cards are only available on Shopify and Advanced Shopify, while Vend has these options on all plans. Whether you’re using Shopify POS on Android or iOS also matters. Some features only work on iPad, so if certain functions are important to you and you use either Android and iPhone, do check that these are available in those apps. You can assume that all Shopify POS’s features relevant to your plan are available in the app for iPad. 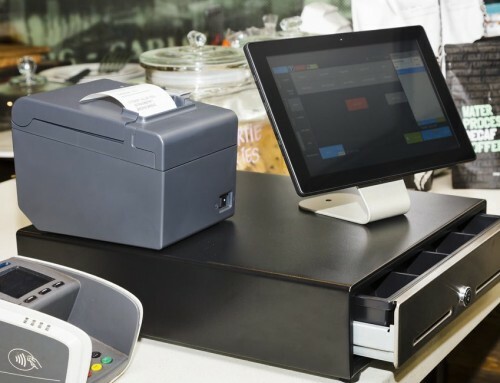 By default, Vend’s iPad app and desktop software contain all their POS features. Vend for PC is ideal for traditional brick-and-mortar shops with large inventories. You can check stock levels and place customer orders. Shopify’s ecommerce platform is one of the best for online retailers. The interface is user-friendly, analytics are clear and useful, and you don’t need special skills to build an online store from scratch. The website builder is visually easy to grasp, yet still with a rich choice of customisation features to build exactly the kind of online store you want. Features include shipping management, built-in SEO, automated marketing, payment processing on your website, shopping cart functions, inventory management, and much more. You can add even more features to your web store through the Shopify App Store that offers 2,500+ apps covering everything from social media marketing to drop shipping. If using Shopify for both online and in-store sales, all inventory will be synced across all sales channels so you can view everything in one place – in the online Dashboard accessible in an internet browser. Shopify also has a mobile app enabling you to monitor and respond to online sales from your phone. Vend does not have any ecommerce features, but is built to integrate easily with Shopify and similar platforms. Vend POS + Shopify integration – how smooth is it? If you’re sure about using Vend, the Shopify and Vend combination is the smoothest ecommerce integration available. Just beware that it only works on Vend Pro and Enterprise – using Lite with Shopify is not possible with the newest pricing plans. The integration works like this: You connect one of your Vend outlets/registers to your Shopify account (which you need to subscribe to and pay for separately). When the connection is made, the products linked to that Vend store can sync in your online Shopify store, i.e. you pick which ones should show online too, and the inventory levels from the Vend store will then show in the online store. The integration requires you to manage all products in Vend, not Shopify. Brick and mortar stores would prefer this anyway given its extensive product features, but those preferring Shopify’s online inventory features may find it a problem. When a customer buys online, the inventory levels are simultaneously updated in the Vend outlet, and vice vera: when someone buys in store, or you make a stock transfer, order or perform a stocktake in the Vend store, your Shopify stock will update accordingly. The Vend POS and Shopify integration is not perfect, though. Some Vend features do not transfer to Shopify, e.g. gift cards sold in the Vend outlet, and third party tools linked to your Shopify account may not function with Vend. You also need to follow some guidance, like connecting Shopify to a dedicated register in your chosen outlet, so purchasing an extra Vend licence for this purpose may be required. Lastly, the integration requires you to manage all products in Vend, not Shopify. Brick and mortar stores would prefer this anyway given its extensive product features, but those preferring Shopify’s online inventory features may find it a problem. Vend partners with other ecommerce platforms including Airsquare, Ecwid, Storbie and Rocketspark. Any of those should integrate well with Vend, but it is also possible to use a connector service to connect with other platforms like Etsy, BigCommerce, eBay and Magento. This may cost a little extra, but it could make all the difference if you’re already with a different service than Vend’s preferred ecommerce platforms. Let us be straight: Shopify Lite and Basic Shopify cannot be integrated with receipt printers, cash drawer, label writers and barcode scanners. Unless you are okay with a simple, portable POS app that only works with the Shopify card reader and otherwise separately from any other store equipment, you would need to subscribe to Shopify or Advanced Shopify. On these plans, you can integrate other terminals than Shopify’s own card reader at an additional fee on top of your chosen card processor’s fees. Shopify’s own card reader connected to the POS app. Both Shopify and Vend offer their own hardware bundles at varying costs, but can work with other compatible equipment. Vend connects with POS hardware through the app no matter which plan you’re on, at no extra cost. Merchants with a clear preference towards desktop computers can only use Vend, whose EPOS works on PC and Mac as well as iPad. Shopify does not work on computers – only the Dashboard admin functions do. Although Shopify and Vend both have 24/7 phone and email support, there is a difference in quality between the two. Shopify’s Canada-based support is sometimes okay, sometimes taking several days for a response, depending on the urgency of the matter. Vend has a London-based support team that understands the British market more, although focused on the point-of-sale side rather than ecommerce. The two have comprehensive support sections, free tools, tutorials and more. Enterprise Vend includes customised onboarding and a dedicated account manager, although this is only relevant for large companies and franchises. Shopify Plus’s custom plans may also include extra support, given the extent of the package. Inventory-rich retail shops of any size are the ones benefitting most from either platform. They are not really suited for food-and-drink, and shops with few products to sell will not see the full potential of the systems. For the product-oriented stores, the question is really: where do you want to concentrate most of your sales? Multi-store and high-volume businesses would benefit most from a Vend-Shopify integration. This way, you have the best of both worlds – EPOS and ecommerce at their most advanced. That said, a 100% Shopify package ensures 100% integration of all features across sales channels, for instance gift cards will work both online and offline, while Vend’s gift cards do not transfer to online sales. For product-oriented stores, the question is really: where do you want to concentrate most of your sales? Online or in-store? You will also need to be happy managing stock in Vend as opposed to Shopify, if you’re opting for the integration. The turnover of your company matters too. The Lite Vend EPOS is only allowed for businesses with a monthly turnover of up to £15k. If you exceed that three times within a 12-month period, you have to upgrade to Pro. There are no such limits on the other Vend plans or any of the Shopify plans, although Shopify is clear that their Basic and mid-level Shopify plan are most suitable for 1-store retailers. The following table shows the official recommendation for each plan. Small Lite: “Small retailers with basic operations” Shopify Lite: Sell on social media, existing website & in-person on the go. Lite: “Small retailers with basic operations” Shopify Lite: Sell on social media, existing website & in-person on the go. Is Shopify spreading itself too thin by accommodating for multichannel sales under one roof? If your primary sales are online and in-store sales are secondary, Shopify-only could be your simplest solution. 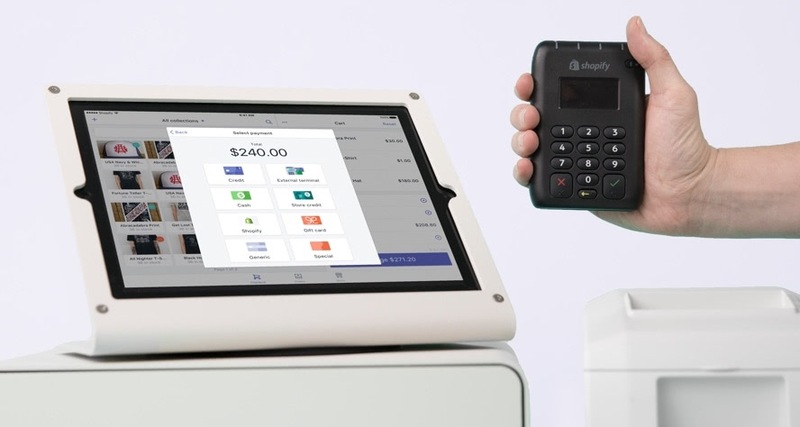 A downside to this arrangement is that in-person card processing requires using Shopify’s own card reader to avoid the additional cost of using an external card machine. 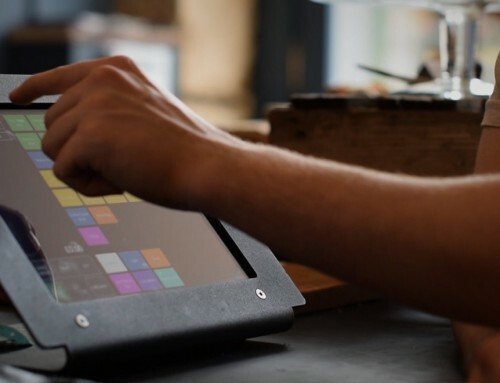 Brick-and-mortar-first businesses will have a smoother POS experience with Vend’s software and customer support. In this case, the Vend POS + Shopify integration can work best for in-store and online sales, as long as you’re happy paying for the Vend Pro plan and managing stock from the Vend account. 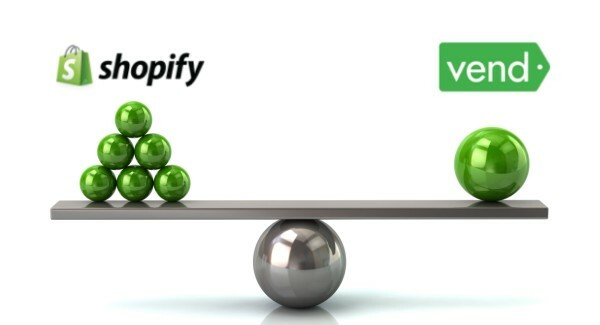 High-volume brick-and-mortar retailers would definitely save money choosing Vend with the Shopify integration, simply because it allows any terminal and hardware setup without additional fees. 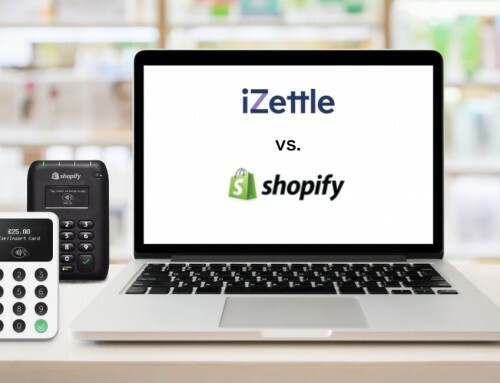 iZettle vs. Shopify: what’s the best POS and ecommerce combo?